Despite everything you may have heard, traffic to your website is never free. There’s two ways to get traffic to your site. The first one involves paid traffic sources in the form of affiliate arrangements (where affiliates send you traffic in exchange for a commision on your product) and pay-per-click (PPC). The advantage is that you can get traffic pretty immediately without much delay. The downside is that you’re paying a lot for that traffic. The second way to get traffic is through organic search (ranking high on Google) or content marketing (being known for amazing content that people want to share). Yes, both of these methods are FREE in a sense that you don’t pay for individual clicks, but there’s still the cost and resources dedicated to ranking high in the search engines through a combination of on-page and off-page SEO as well as creating said amazingly mindblowing content. So, nothing is free in life. But….. Content marketing is just plain smart. Here’s why. 80% of clicks in search engines goes to links in the organic search results. 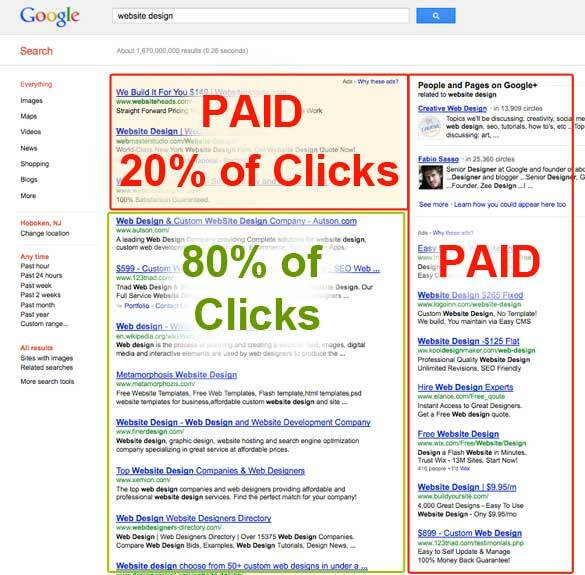 The remaining 20% of traffic goes to paid advertising. Wouldn’t you rather play in an area that gets the most traffic? As you’re creating amazing content worth sharing, you’re reinforcing and strengthening your brand (as opposed to mindlessly shelling out money to paid traffic sources). In terms of long-term strategy, that’s the better ROI. The moment you stop paying for paid traffic, the traffic stream dies. With content marketing, you get reliable, steady traffic even if you don’t add more content. And lastly, amazing content is oftentimes a lot cheaper to produce. The trick is to figure out beforehand what type of content is likely to get shared (and maybe even goes viral). Find out how.